Since I moved to London, I’ve been working in a media company. I’m Cross Platform Co-ordinator working across radio, magazines and video. In November, myself and lighting cameraman, Phil Maltz, set upon recording a series of music performances for an Advent Calender. So I thought I’d share a couple with you. 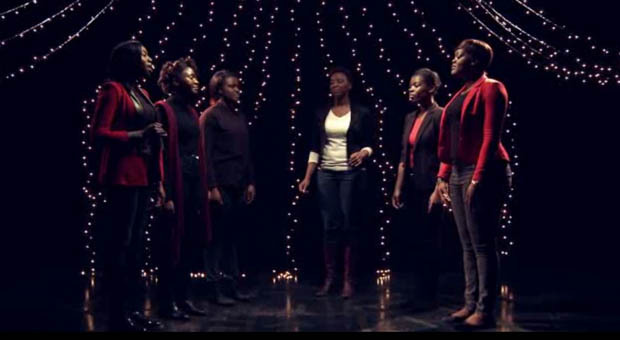 This video features The Reapers Choir, a London based Gospel choir, who are fantastic. The challenge here for me was to get the best audio I could without having microphones in shot. I set up some shotguns pointing at each group and then also set up two Zoom H4Ns one with a very central location and one slightly to the side. When I listened to the audio, it became apparent that I shouldn’t mess with it at all so I used the audio I recorded from the centrally located Zoom.